Pitch: 2.5 mm (10 tpi). Material thickness 4mm to 30mm. Manufactured to the highest standards from high alloyed Chrome-Vanadium Steel. 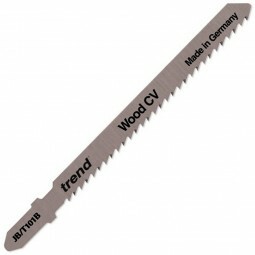 For use in hardwood, plywood, laminated particle board, plastics, and MDF.